Introducing is a new series at Bandwagon where we spotlight the new artists that are on the verge of breaking through. No fuss, no muss — we just present their back story and tell you what tracks to check out. Often seen as the cradle of rap in Southeast Asia, no other country around the region has a hip-hop heritage as rich as the Philippines. As such, any up and coming Pinoy MC or beatmaker will inevitably have a lot to live up to, with the shadows of pioneering figures like Francis M and Andrew E constantly looming large over the scene. 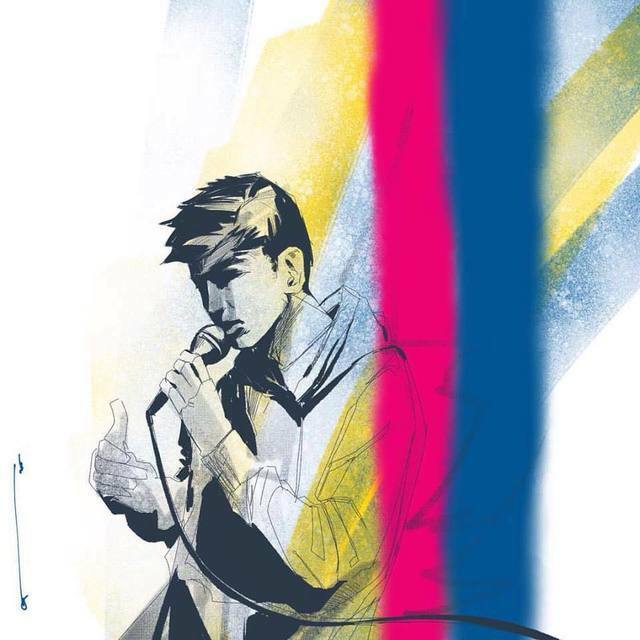 That being said, when it comes to young Pinoy talent in the game today, the consensus on the street points to surging Manila rapper NINNO (aka Ninno Rodriguez) as the one to look out for - the next big thing and the next ascending king. The Logiclub affiliate most recently made waves with the release of his debut LP Third Culture Kid, an 11-track document that boldly proclaims his arrival through a self-assured sound and socially conscious lyricism. Indeed, the first thing any new listener will latch on to is just how uncannily literate his ostentatious rhymes can get. Filled with dexterous wordplay and sharp-witted allusions, his verses can either be delivered in boisterous rapid-fire fashion or with a deliberately methodical flow. Either way, NINNO makes sure his words aren't just flowery window-dressing for his head-nodding beats, they are uncompromisingly deep and they are meant to be understood. Addressing hot-button topics like addiction, false indoctrination, domestic abuse and the Reproductive Health Bill, NINNO's verses aren't just socially conscious for the sake of being socially conscious, you can tell from the conviction in his voice that these issues mean a lot to him personally. It also shouldn't surprise anyone that Rodriguez is a celebrated spoken word poet (and poetry slam champion) on the side, and its that aspect of his persona that really adds weight to his status as one of the Philippines finest wordsmiths. But outside of his verses, Third Culture Kid is pretty sonically arresting in its production value as well. NINNO seems to function best with sparser, piano-driven East Coast-influenced beats, but he seems to be just as adept with a sub-bass heavy, radio-friendly canvas as he is with minimalist acoustic accompaniment. It's fun listening to Rodriguez straddle the line between Aesop Rock and A$AP Rocky with consummate ease (although he's far better than the latter, and more obviously influenced by the former), and its that kind of versatility in delivery that bodes well for his future. Production styles can be cyclical, but NINNO's ability conjure that kind of acrobatic, resonant lyricism is forever. Produced by CRWN, this lush and hazy track is a braggadocio number with allusions to the obscenely over-powered, omega-level mutant (and son of Mr. Fantastic and The Invisible Woman) Franklin Richards. Functioning as the energetic opener to Third Culture Kid, NINNO's hard-hitting and break-neck delivery envelopes you in its immediacy. An obvious homage to Wu-Tang Clan's fascination with martial arts metaphors, 'Kung-Fu' is one of the album's most jarring numbers, but its also one of its most interesting stand outs.